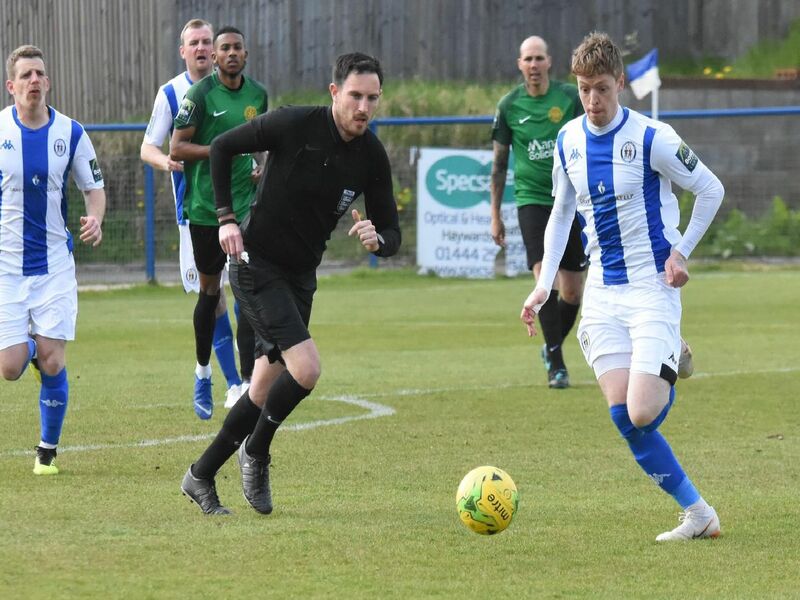 A below par Haywards Heath Town performance and a VCD Athletic win means the play-off zone gap is down to just three points with three games remaining. Heath suffered a 1-0 defeat to Sevenoaks Town at Hanbury Stadium. Here are photographer Grahame Lehkyj's pictures from the game. Nathan Cooper on the ball. Omar Folkes wins the ball in the air. Kenny Pogue puts in a challenge. Kenny Pogue holds off the defender.